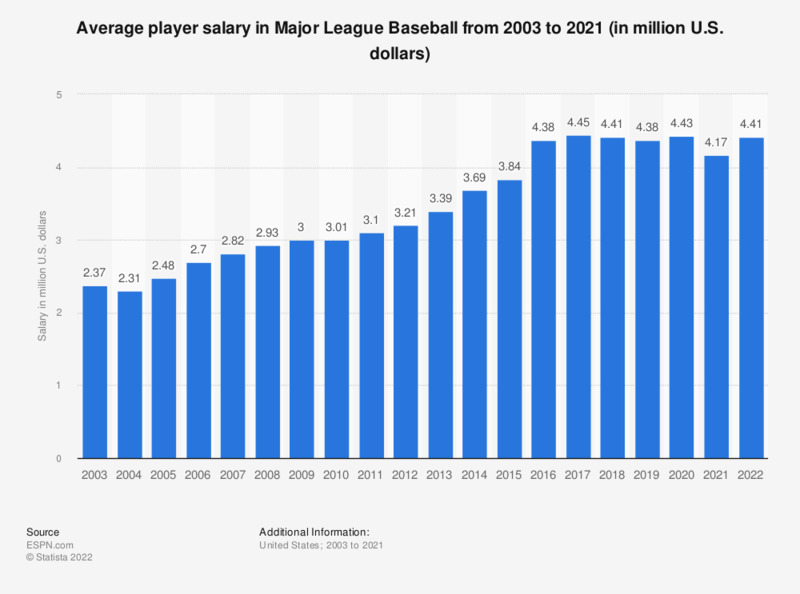 This graph depicts the average player salary in Major League Baseball from 2003 to 2018. In 2018, the average player salary in Major League Baseball amounted to about 4.52 million U.S. dollars. Figures prior to 2017 come from earlier articles.